It's raining here, heavily and steadily. I'm wearing a skirt today but it's not floral and I wish it was. Days like today call for cheer-me-up flirty florals. 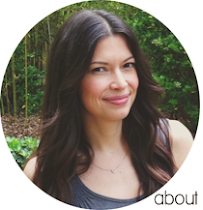 All of my picks below are under $50 (with the exception of one priced at $52)! The great thing about floral skirts and dresses and is that they translate to every season with the right layering. Floral skirts have a permanent home in my closet. Do you have a go to, cheerful outfit or piece that you depend on? I love flower patterns, especially for summer dresses... lovely choices here! I love feminine, floral skirts! I love floral prints! They made any outfit so happy and romantic. I love the Modcloth skirt- it is beautiful! Wonderful picks all around though. I just love florals and hope they never become unfashionable. I nearly bought that Topshop skirt the other day but didnt and now I wish I had! I found a BEAUTIFUL lot of vintage floral fabrics and wasn't exactly sure what to do with them and NOW I know.. SKIRTS!! Right now its wet and gloomy outside which always makes me go for a bright colored outfit to cheer me up:) Its funny how clothes can change your mood..
Great choices! I always flavor florals, and the bell shape so popular this season is flattering to a lot of figures. And so feminine! these skirts are fab, and the price is right! it has been pouring rain here all damn week. TOTAL nightmare traffic, and it is harder than hell to get out of bed and face the day. and wearing boring black and grey did NOT CHEER ME UP THIS MORNING! i should have gone for something more defiantly peppy, like one of these skirts. ah, tomorrow is another day, and it is supposed to rain again. d'oh! Can't wait to make some of these for spring. WOW. 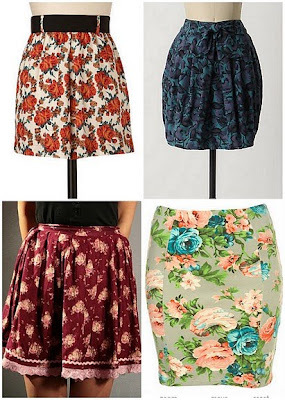 When you can actually get ME to like floral print skirts... you've just done the impossible! I love them! Even after only a couple of days of this rain I was starting to feel cabin fever. I headed out to a couple vintage shops but didn't score anything :( cute skirts! These are adorable! I need one for myself. great skirts! i want them all!! these are all beautiful!! and what awesome prices!! hmmm I dont have a "go to" piece .... my wardrobe is very very very black...but that makes me happy, so maybe then it is all cheerful :) have a great weekend!! 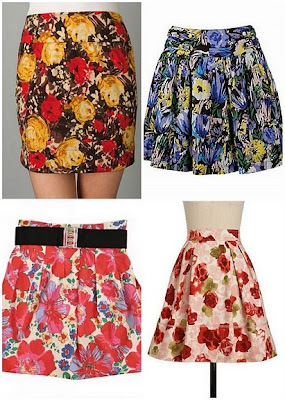 I love all of the flower skirts I am seeing! These are so cute! I'm ready for spring. I've had enough gray, rainy weather during fall and winter. Boo. I see I'm not the only one in a Spring frame of mind. I don't think i have a go to happy outfit. Guess it's time to get one.